CopyOp Review | If you are not familiar with the world of trading in binary options, it involves betting on one of two probable outcomes [for instance: that the EUR vs USD rate will be lower or higher than the current rate in 30 minutes]. You stand to lose a part or even all you have staked should you get it wrong, or alternatively, earn yourself a rich purse when you’re correct. The world of trading in binary options has been steadily expanding over the past few years as the financial world experiences growth, most specifically in using social media to trade and invest. This is where people have been expressing and sharing their thoughts concerning their preferred stocks or trading strategies. Clearly, it was only a matter of time until these two worlds interconnected. This happened in January 2015, when CopyOp, a new social binary options trading network, was launched. The unique social feature means traders are talking to each other to share tips and knowledge. Moreover, the system is quite apt for newbies as it gives them the option of copying trades other investors are engaged in and they earn from them too. As such, experience is not needed here to use this wonderful tool. The firm is a highly respected trading platform in the industry despite the short period of time it has been in existence. 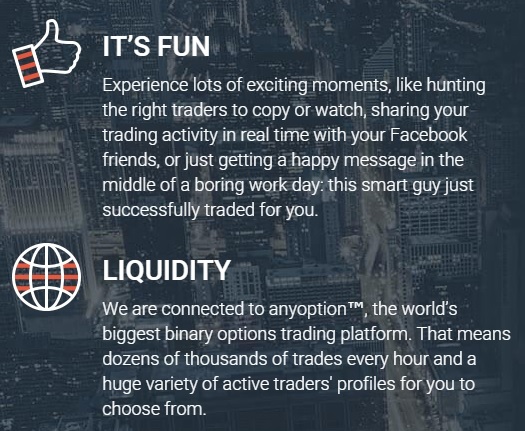 The CopyOp firm is run by Ouroboros, the same company that operates the world’s biggest binary options trading web portal, AnyOption which was launched in 2008. CopyOp is licensed and regulated by the CySEC [Cyprus Securities Exchange Commission] and it is MiFID compliant. It has been steadily growing and boasts of over 10 million trades that its clients can copy from. There’s a customer service support team which is always available, 24/7 to offer advice and help regarding any problem you might encounter, be it related to trading or a technical issue. It prides itself as one of the most innovative trading applications on the web today. The way it works is that you’re allowed to set your own investments to mirror the investments made by professional and successful traders. This factor means you stand to mint profits with just a mere touch of a button. 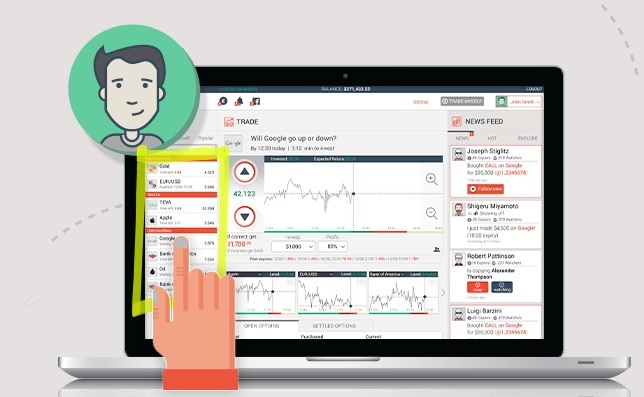 In this review, we will check out the main features that make this social trading platform exceptional, and the trade copying functionality, in order to teach you how you can maximize your yields. But how does social trading work and what does it entail exactly? Read on! There’s deep excitement at the prospects of trading in binary options with beginners even though many lack the necessary knowledge, skills and the time to build a successful trading scheme. But at CopyOp, newbie investors are afforded the chance to search for the traders that they trust and to place their trades alongside these traders automatically. Rather than copy all trades placed by another user, you simply choose the trades you want from individual investors. By doing so, you are able to copy only the best trades from the best of traders without having to spend numbing research hours to become an expert. This fluidity of trading turns you, or any beginner, into a profitable investor right away. On the other hand, the professional binary options traders have to be reeled in to utilize the trading platform in order that other traders can copy their trades. For the trading professionals, this means exciting incentives such as making extra cash every time another trader copies any of their trades. These pro traders will receive cash rewards every time a trade they’ve placed is copied, whether the trade itself is successful or not. And this is what sets the CopyOp firm apart, making it an exceptional trading platform for investors who are trading successfully. All you have to do is watch, copy, then trade. Three simple principles that help you to make more money! But once you have registered, it is not possible to change the base currency. Additionally, you are allowed to make your deposits with Amex cards, MasterCard, Visa, several other credit/debit cards or through a bank wire transfer, and there are no minimum withdrawal limits. Since this platform was developed with beginners investors in mind, it is designed to be both intuitive and user-friendly. The website works with a social feed module that is similar to those used on social media sites like Facebook and Twitter. This feed is structured so it can display trading actions and updates of the traders that are being watched. 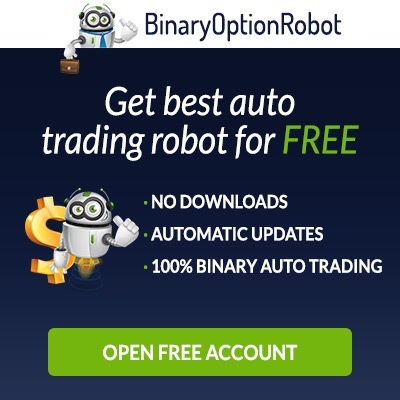 The site also provides a real-time feed of the best binary options traders and their returns. This gives you the starting point that will help you in determining the traders you are looking to copy. 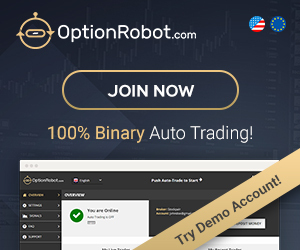 You can peruse the CopyOp site’s ‘Hot List’ which will help you in choosing the binary option traders that you wish to copy. The list displays not only the best traders but also the best copiers tabulated over different intervals of time. You are also able to look at their detailed profile of every trader to see their hit numbers [the percentage of winners versus losers], the best winning streak, the average trades each day, the number of followers, the traded asset that has been most successful plus a breakdown of the last 120 trades placed. Any other user on the social trading network can also copy your trades once you’re on it which in turn means if you’re a successful trader, you stand to make extra cash with the rewards you’ll get for being a copied trader. These rewards can easily be converted into real money and with no further conditions attached to them. The trading platform’s interface has been kept simple so as to appeal to beginners and professional traders alike and when you connect to your Facebook account, you are able to link up with your Facebook friends too on the social trading network. There may be no demo account available on the platform but once you have registered, you have access to view other traders plus their performance without having to fund your account. 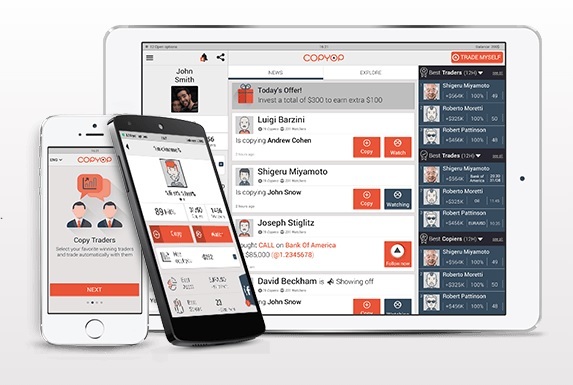 The CopyOp platform could not be termed “social trading” if it did not have a mobile trading app that you can access from anywhere and at any time. Considering social media is an omnipresent facet of everyday life, the mobile app is structured to allow you to always stay connected to your account as well as to keep track of your preferred trades and traders, and copy their trades with one simple click. The mobile platform is available on both Android and iOS mobile devices. You are allowed to copy any trader who has placed trades on both the CopyOp or AnyOption platforms, and any other trader is allowed to copy your trades even if you only copy other traders. The one restriction around this platform being that any binary options trader may only have no more than a 100 copiers. 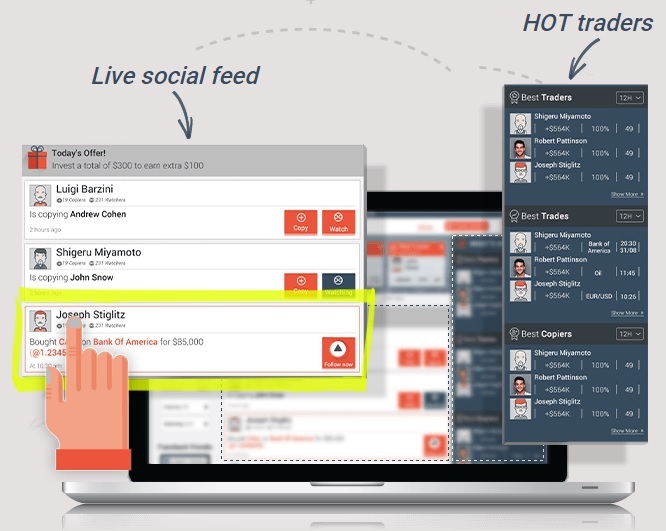 You may alternatively choose to “watch” a trader as this will mean their trading actions will be displayed in your social trading feed in real-time. Stocks [from a wide range of European, US and Asian stocks]. Moreover, when your trades are copied by other traders, you are rewarded with CopyOp coins which you can convert into real money; for every trade copied by another trader, you receive 2 coins, and 1 coin for each subsequent trade [30 coins are worth €5 while 600 coins are worth €150]. Because the maximum number of copiers allowed is restricted to 100, you can rake in up to 200 coins from a single trade. Ten trades a day churns out 2,000 coins which convert to € 500. Remember others are copying your trades, and you still get the profits you have made yourself trading. This payment is made regardless of the trade’s success which means better results don’t necessarily translate to better rewards. Remember that you must trade with real money, whose value is displayed for your last trades, which means you will not be copying traders operating demo accounts but registered account holders who are risking their own money, too. The Explore Feed: Here is where you will find the most popular as well as the most interesting recent trades. The Hot List: Here is where you will find the top 10 traders who made trades in within the previous 12 hours, 1 week and 3 months. When a trader is copying other traders, his/her investment amount remains the same always. The top 10 list is the one that displays the biggest winners, but in monetary terms only; e.g. a trader holding first place in the top 10 list could have made just a few correct investments with substantial amounts, but a host of wrong investments with small amounts. Though s/he may have actually made a profit, it means all traders who copied the trades have racked up a loss. As such, the hit percentage is more important than making the top 10 list and in order to make a profit, the hit percentage has to be about 60% or more. Therefore, seek to copy only the traders who have correct hits in at least six out of ten investments, on average. The CopyOp platform will pay you up to 60% in profits should the binary option you copied turn out to be successful, and refund you up to 15% if the copied trade lost. These values could be a tad less than the potential returns of placing the trade yourself. When you invest yourself, CopyOp will give you a 60%-80% payout, and a 5%- 25% refund when the option you trade expires. Therefore, you need to copy someone with a successful hit of over 58% percentage if you want to make a profit. Clearly, it makes better sense to watch the trading feed of successful traders so you can set the trades yourself when they appear on your social feed. This in turn means you must always be ready, constantly monitoring their feed which is a tall order. The more sensible solution would be to simply set your trades so they copy the best traders, scour the feed for good investment opportunities, and place bigger stakes on them. Explore Feed: A great place to start, but not very beneficial since only a handful of traders will see you should you appear in the feed only. Hot List: This is the most beneficial method so long as you get to the top 3 spot on the list. This way, your profile gets to be displayed on the front page giving you ten times more visibility. Appearing in either of the first two categories is more favorable and more straightforward as opposed to ranking in the best copier list considering your hit percentage is not taken into account. This affords you with the opportunity to make the cut on both those lists with just one huge and successful trade. This in turn garners you a large number of followers from that single successful investment. For this purpose, look for an investment with lower risks. The following step-by-step instructions will make sure you mint good cash with very little risk. Look for suitable low-risk trade. You then need to monitor financial news and trends of its share price in order to know which trade will most likely hit right. 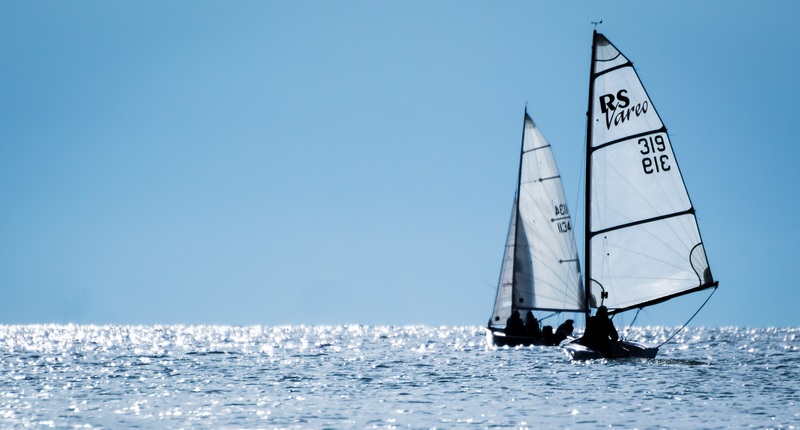 Perform a quick calculation of how much you must win in order to rank among the top three. Aim for the number two slot because aiming for number three means you’re risking some other trader knocking you off the front page with just a single successful trade. To calculate how much you must win to land in 1st place is quite simple actually. As an example: the trader in 1st place has a win of €600. So, look for a good low-risk trade which will give you a 70% profit when you hit right. This means your trade must be at least 600/0.7, which comes to roughly €860. Remember that you can’t round off this value downwards as it translates to an amount that is less than what you need. You’ll start getting followers and copiers quite fast the moment your profile appears on the front page. Once you have made the list and have begun getting followers, proceed to trade with small amounts and collect your profits. Copiers and followers translate to CopyOp coins for every trade made which you can convert to cash; a hundred copiers will earn you 200 coins per trade, translating to a value of €40; trading a minimum amount of €25 will earn you €15 per trade even if all your trades go wrong. You are able to set limits on the number of trades you wish to copy – could be all trades, or a predetermined number of them. You are able to set limits on the number of your stakes – could be anywhere from 10 to 25 to 50 or even 100 per trade, in your base currency. You are able to set the copier to copy just the predetermined assets – could be currencies only. In this way, you are able to copy several of the traders which would typically not be very profitable. You could, for instance, a trader could be quite good at trading currencies but especially bad at trading stocks but this way, you can copy only that trader’s Forex transactions. Additionally, you can also stop copying trades at any time you choose; should you find the trader’s investments are going south, you can cease all copying activities for a moment in order to observe if the results are because of bad luck or if the trader has started making incorrect trades. Remember that you can only copy another trader’s investments and not the sums they have invested. For this reason, it’s highly recommend that you monitor successful traders who invest the same amount every other time to keep both your results close to each other. Note that when placing your trade, the minimum investment amount for copying is set at €10 while the minimum amount when you invest yourself is pegged at €25. Should you wish to, you may share your trades directly on the Facebook feed so your Facebook friends can see your CopyOp trades and you can also see their trades. Naturally, this is totally voluntary and CopyOp will never share the details of your trades on Facebook without your direct permission. Opening a trading account with CopyOp – or AnyOption – is absolutely free and there are no other costs or fees that will be charged. You are also allowed to make one withdrawal for free every month. Moreover, you won’t have to worry yourself with slippage [the price difference between the amount the trader you have copied gets and what you get] that often comes with social trading networks that deal with Forex. While slippage could be in the positive or the negative depending on the nature of trade, copying it is normally negative meaning it will seriously impact your overall results. And since you will get the exact same binary option as the trader you have copied, slippage therefore should be of little concern to you. However, as mentioned earlier, using the copy service ensures you receive slightly lesser returns than when you make those same trades yourself, and this is the cost for using this service. This difference is what CopyOp uses when rewarding the traders you have copied, and to manage the service no doubt, as well as to generate additional revenues. You can reach the customer service support team through e-mail or contact form only as there’s no phone number given at present. The customer support e-mail address is: support@copyop.com. However, should you sign up for a trading account with AnyOption, then you can reach the customer service support team via call back, e-chat, contact form, email or telephone [local numbers have been provided for various countries]. The support team is qualified to deal with questions concerning the software too. In addition, should you be interested in information regarding trading in binary options, there is a lot of valuable educational material when you register first with AnyOption, which you otherwise wouldn’t get when you register directly with CopyOp. Copyop clients don’t have access to the wide range of articles, eBooks, tutorials, guides as well as binary options trading educational videos like the ones which are offered to the clients of AnyOption. At the moment, the CopyOp platform is available in five different languages; English, Italiano, Deutsch, Español and French. This is a new company that is still growing so you can be sure even more languages will be added to this selection in the very near future. The data shared on the CopyOp site is 100% accurate, and the website hosts neither trading bots nor any fictitious data. This is to put you and all traders at ease, and to assure all clients that the services offered are absolutely trustworthy and completely reliable. The website employs the most powerful and advanced security protocols plus encryption systems available. The information that is transmitted between the end-users devices and the website is encrypted through deploying a 128 bit SSL encryption connection. The funds deposited by clients are kept wholly separate from the firm’s own funds in order to prevent any likelihood of abuse. CopyOp uses Thomson Reuters as their main source of data for the pricing and expiry rates that they use. Routine security checks are additionally carried out by the firm’s information security experts. You can make deposits with the following credit cards: Amex, Visa or Mastercard. The minimum deposit threshold is set at 200 of your base currency. There are other deposit methods as well, and they include a range of different debit/credit cards plus bank wire transfers. The available currencies for deposits and withdrawals are the US Dollar, the Euro and the Sterling Pound. A point to note is that you are not allowed to change your base currency once you have finished with registration. There is no minimum withdrawal limit that CopyOp has set for its clients, but it is important to remember that you are allowed only one free withdrawal for each calendar month. Every additional withdrawal carries a charge of 30 USD or 25 EUR or 20 GBP. The CopyOp mobile application may be downloaded either from App Store Or on Google Play. The App is an excellent and user-friendly social trading module for the trader who wishes to conduct business on the go. Compared to the competition, the CopyOp App is a whole lot easier to use, and is also quite fast even when the internet-connection is not at its optimal level. This App comes highly recommended for everyone who is on the CopyOp social trading platform. The CopyOp platform lets you connect using your Facebook account, which means your trades will be shared with your friends and you are able to view their trading activity too. If you would like your friends to know your trading activity, and follow you so you stand a chance of making more money, then CopyOp is the place to be. There are no other social capabilities at the moment though, so there is no other way to communicate with or rate other investors. 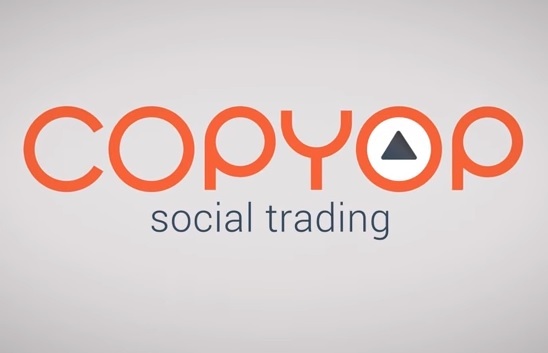 There are no demo accounts on offer with CopyOp but you can register an account for a free CopyOp or AnyOption account in order to have a glimpse at the full social trading interface. This will also afford you the opportunity to see the social feed and the hot list so you can link up with traders you can watch, copy and trade. However, your account must be funded with real money. Once you have registered, you can expect a callback from the sales team who will call you on the number that you’ll enter when signing up for an account. The CopyOp service is targeted at traders who are looking to get a leg up alongside the professional traders who enjoy the social trading aspect of binary options trading. The platform comes with an interface which is quite intuitive and user-friendly. This platform heavily leans on social elements like the ‘options to follow’, the ‘trading feed’, plus the ‘copy other traders’ features. The website has continued to attract more traders while growing in popularity. 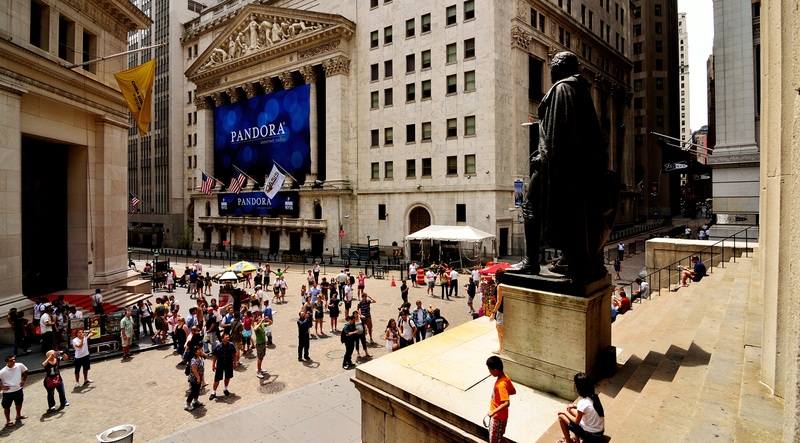 Being a brand new idea, social trading is yet to catch on with the mass market as with most new ideas. There may be people in the financial world that will shun the idea or even discredit it, but it is too soon to tell if social trading will become the newest craze in the binary options trading scene. If you have the time and the patience to search for the best traders to copy, the results the CopyOp software enables are exceptionally great. If you are a good trader, CopyOp will also grant you the chance to share your knowledge, thereby earning yourself significant amounts of money with it. 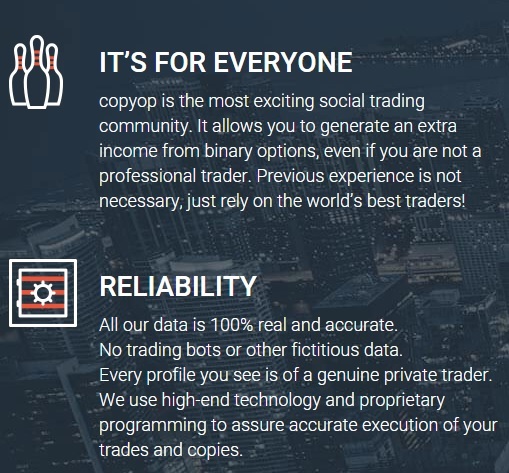 The bottom line here being, if you feel comfortable with the idea of social trading, then CopyOp is a service that is definitely worth checking out. Get The Best Bonus| Click Here! 11. Game-Theoretic Analysis of Trading Processes: Wilson,Robert. Aug 1985. 14. 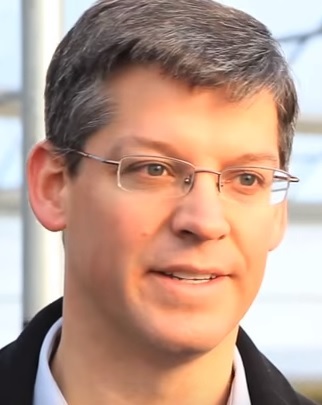 A Stochastic Calculus Model of Continuous Trading: Optimal Portfolios: Stanley R. PliskaDepartment of Industrial Engineering and Management Sciences.